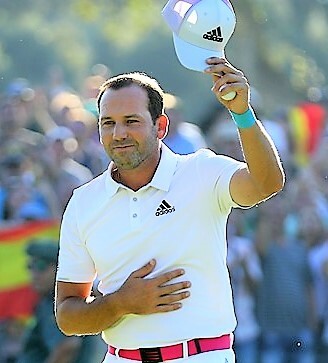 Masters champion Sergio Garcia has officially signed an equipment contract with Callaway Golf, confirming one of the worst-kept secrets in equipment circles over the past few months. Garcia will overhaul his bag in 2018, including an Epic driver, Apex MB irons, Toulon putter and Chrome Soft ball - many of which he began incorporating into his arsenal at the end of last year. The Spaniard had been spotted dabbling with Callaway offerings in the fall, and in October he announced a mutually agreed-upon split from TaylorMade after 15 years with the company. "I feel like it's the best company out there," Garcia said according to the Callaway website. "Callaway showed me how much they wanted me to be a part of their family." Garcia, 37, is coming off his first three-win season since 2008. In addition to his green jacket triumph, he also won the Omega Dubai Desert Classic in February and the Andalucia Valderrama Masters in October, when his bag included a Toulon putter and Callaway wedge. He begins the new year ranked No. 10 in the world.